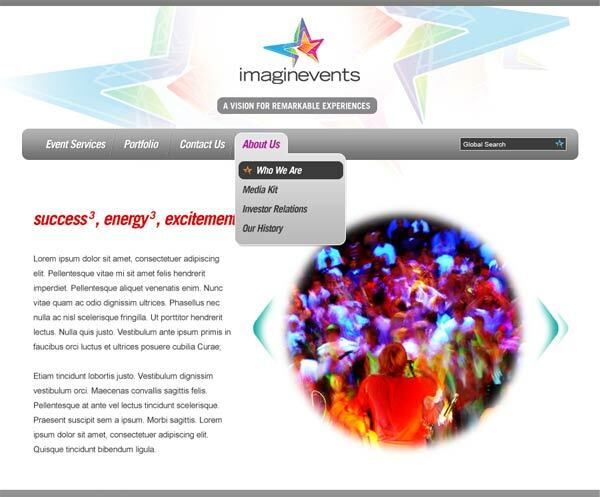 Imaginevents is a even planning company that markets to mostly promoters, and serves to be a go-to resource for party and event planning. Covering all aspects from fulfillment to catering to decoration, organizing the process and making it easy for promoters to focus on, well, promotion. The initial logos were based on a star, but took a step away from the typical star shape, and also added some dimensionality. Different variations, colors and perspectives were tried before settling on the final logo. I developed a bright and colorful logo, that was still classy and not age-inappropriate.